What is Mana in Artifact? Mana is one of the two resources players have, the other being gold. But whereas gold is used to purchase items, mana’s utilization lies in summoning creeps and improvements or playing spells. If your tower has six mana, for example, you can use it to play one six mana spell, or a three mana improvement and a three mana creep. 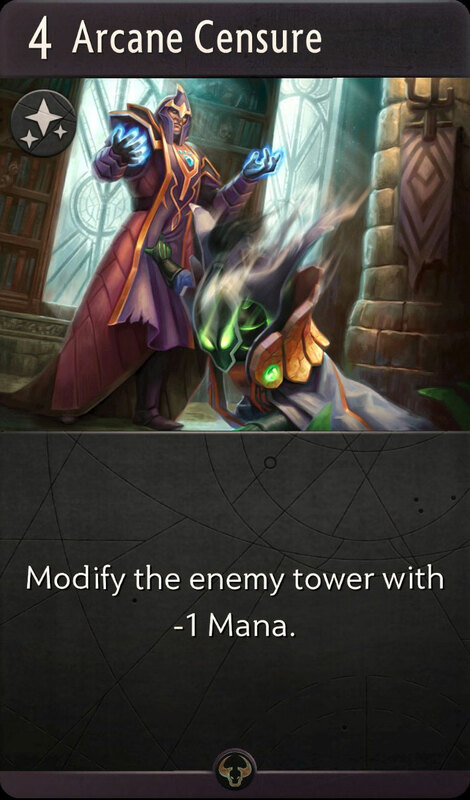 Both players start with three mana per tower in Artifact. 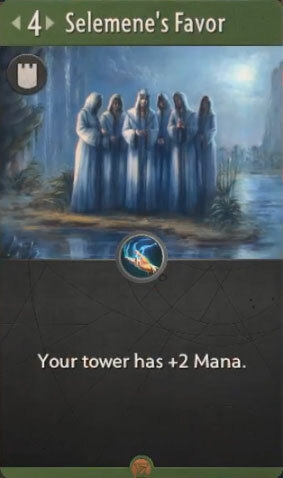 Each round, after all lanes each have gone through their phases, all towers replenish their mana pool and gain 1 extra mana. There is no limit to the amount of mana a tower can have. So far, we have seen a couple of cards that play with the mana pools. One is the green improvement Selemene’s Favor, which grants the tower it’s played at two extra mana. Arcane Censure does the opposite to your opponent, and shrinks an opposing tower’s mana pool by 1, permanently. It is worded differently and is a spell, but that’s because you simply can’t play an improvement on the opponent’s tower. A third is Stars Align, which gives a temporary boost — or "ramp" — for this current turn.